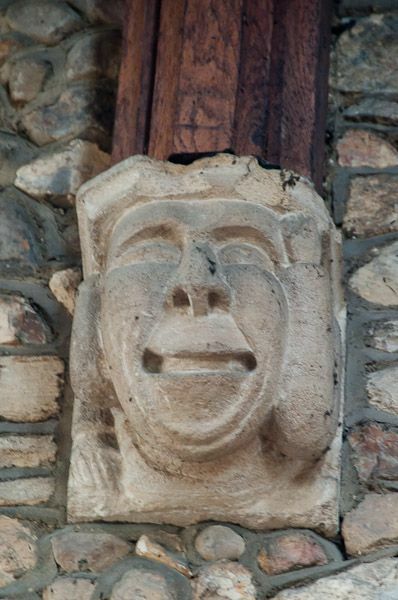 A corbel is a projection, usually of stone, that acts a base for an arch or roof timber, transfering the weight of the timber to a wall or pillar. 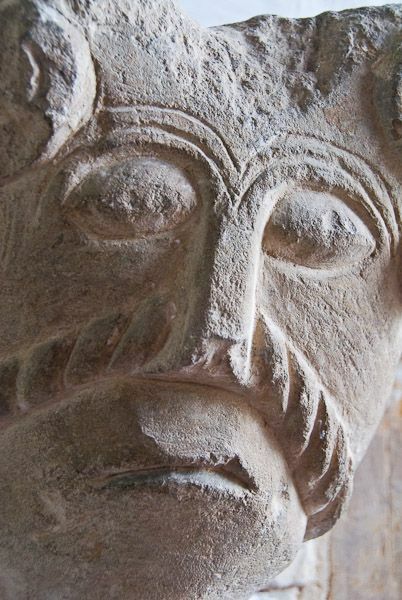 These projecting corbels are often carved with heads, or faces, hence the term 'corbel head'. 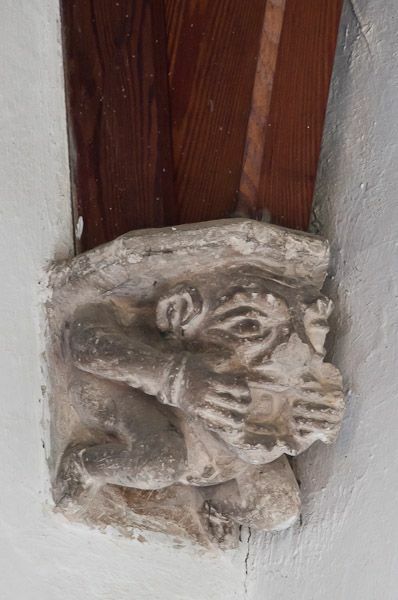 The carvings are sometimes human, sometimes religious figures, but frequently they are peculiar or grotesque beasts or mythological creatures, very often with humourous or frightening facial expressions. 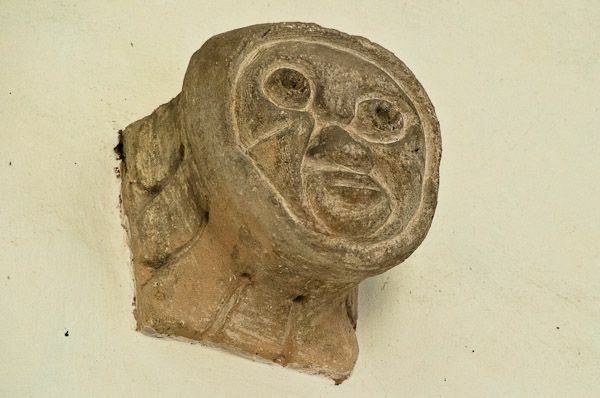 You often see corbel heads 'orphaned' projecting out from aan interior church wall without any apparent timber nearby. These stranded corbels were left behind when the interior was rebuilt, or a roof was raised.